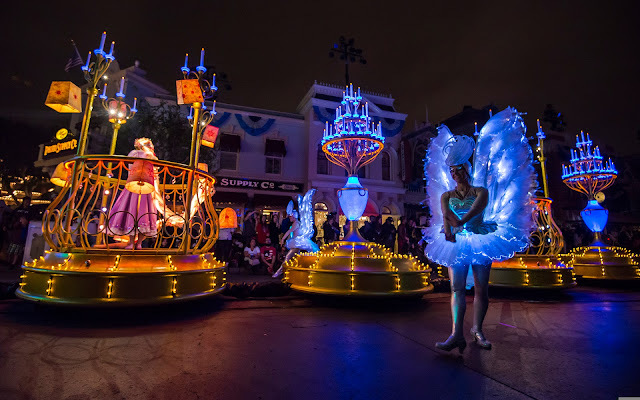 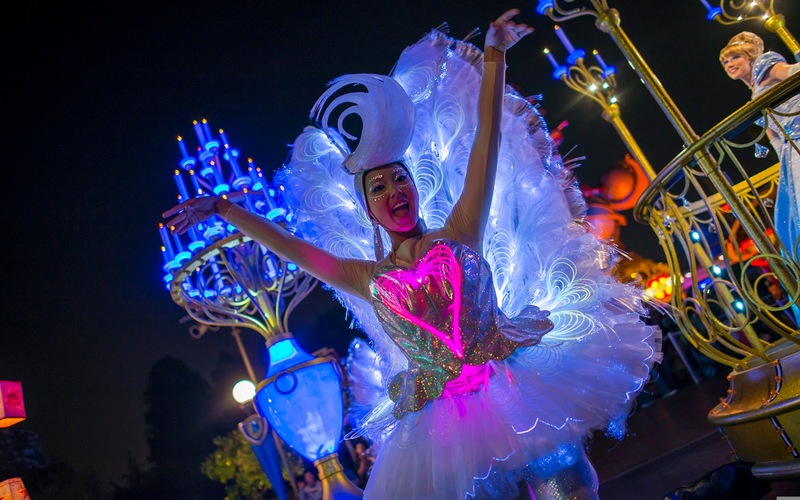 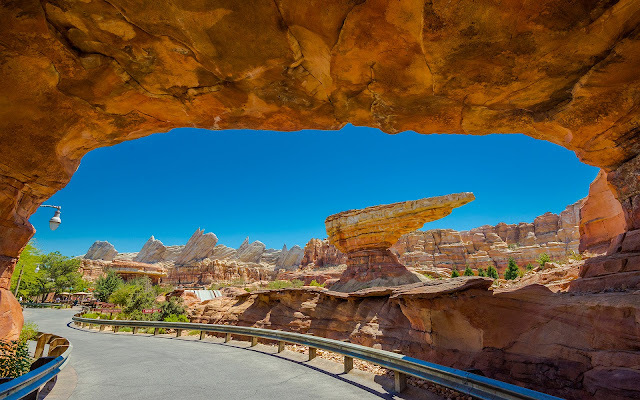 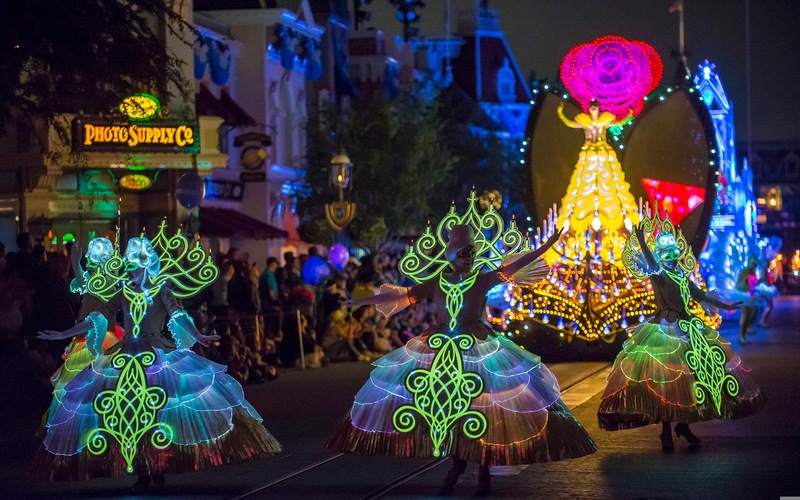 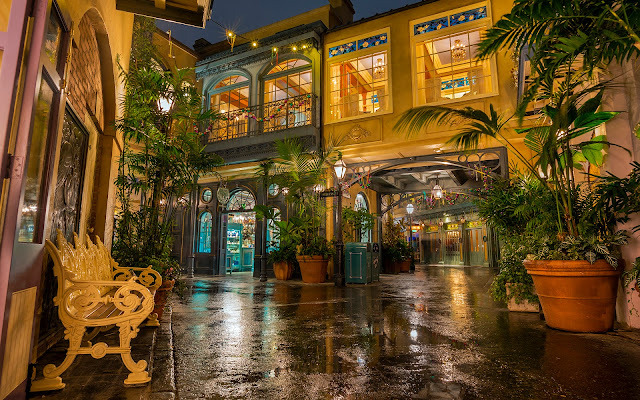 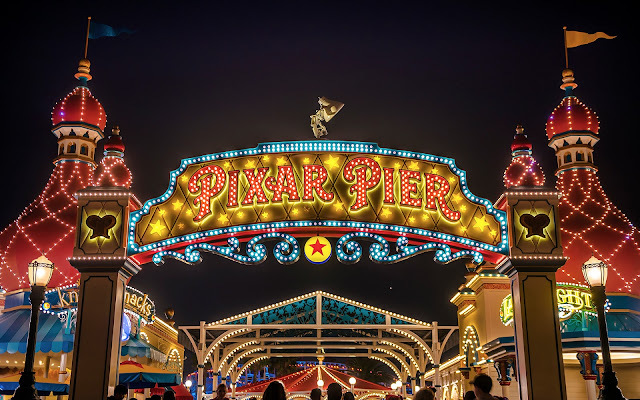 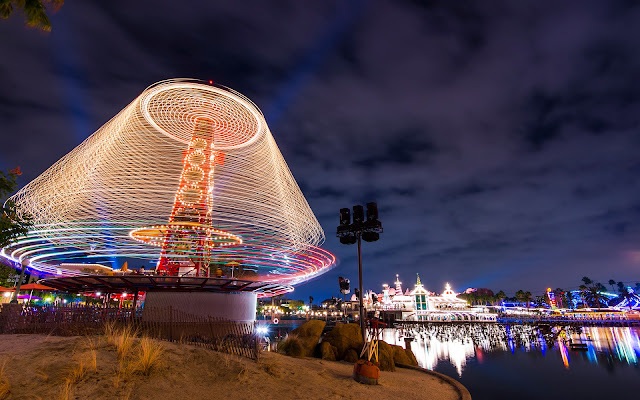 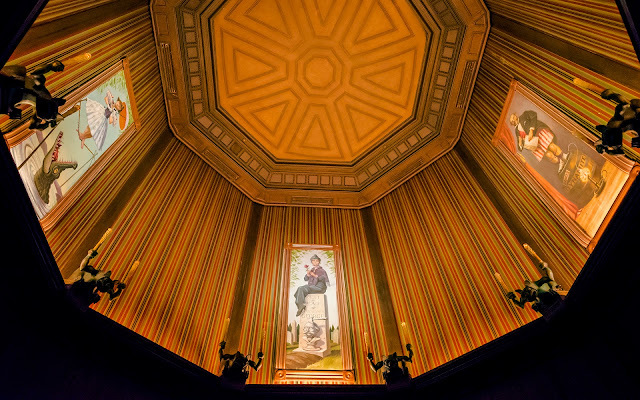 We reach part eight of our Paint the Night series, and this one is dedicated to the princesses. Fresh off the heels of the Toy Story segment comes Belle, Rapunzel, and Cinderella, each in her own float vehicle. 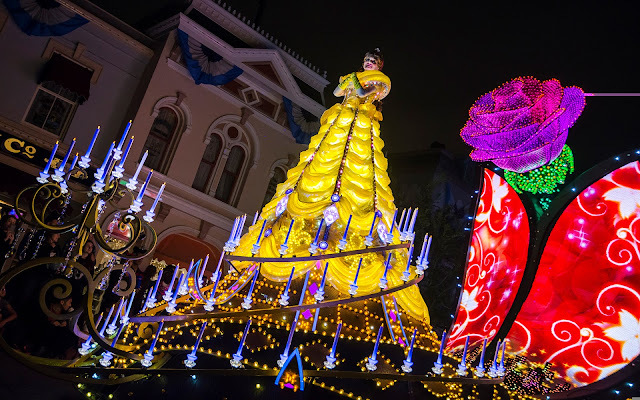 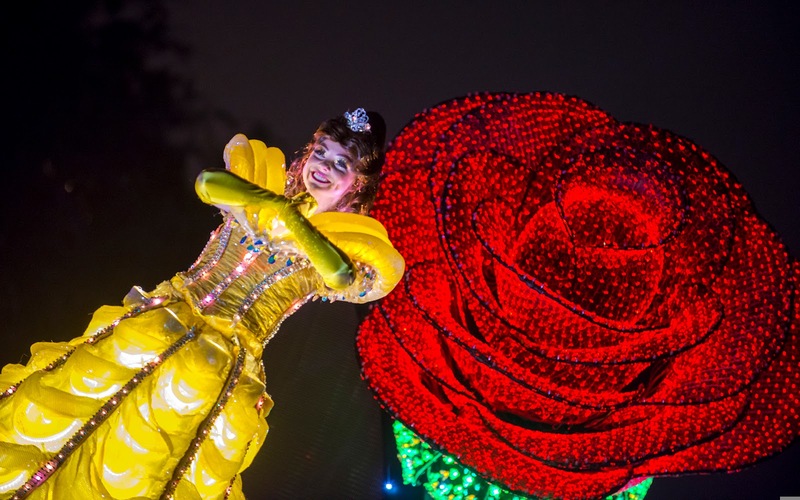 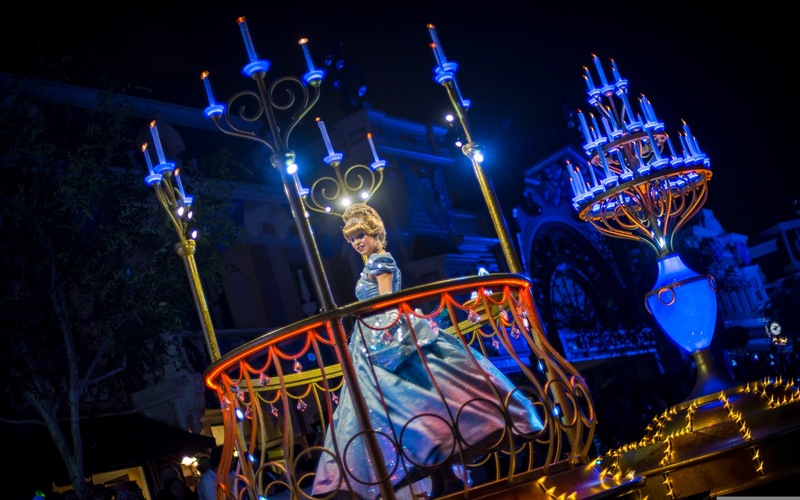 Belle's float is the main parade unit and is the most extravagant. But flanked by swan dancers, Rapunzel and Cinderella glide by in beautiful luminosity as well. Check out these 15 photos of this part of the parade! 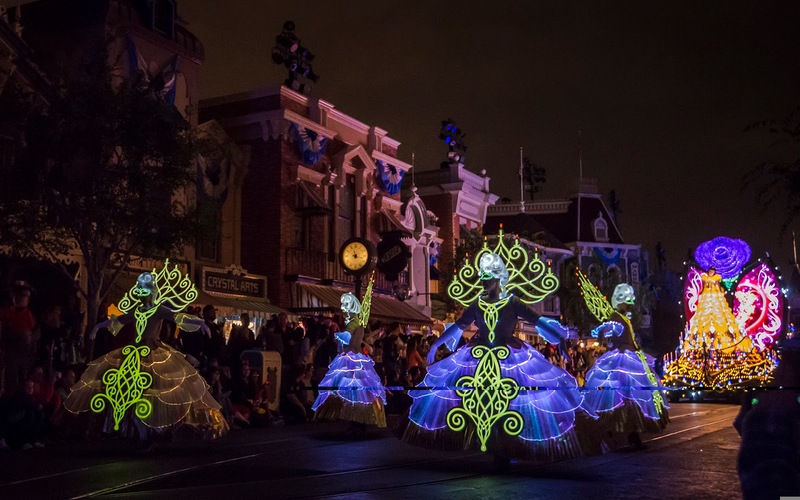 Royal ballroom dancers waltz their way up Main Street, in advance of Belle. 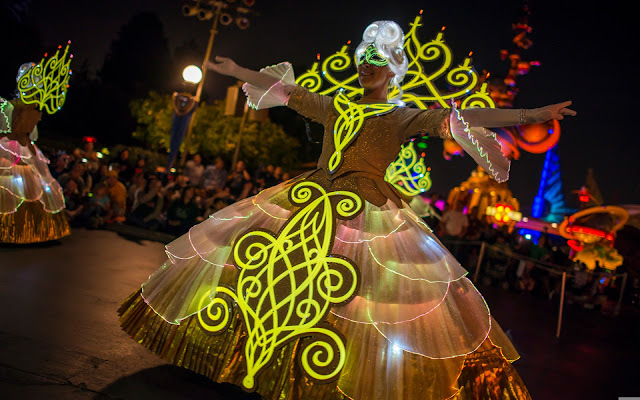 They are lit up and aglow with elegance! 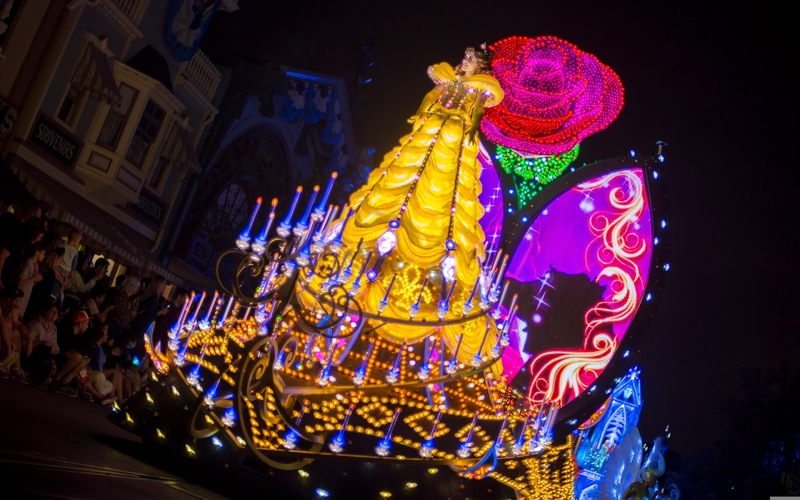 Belle's float is pretty fancy. 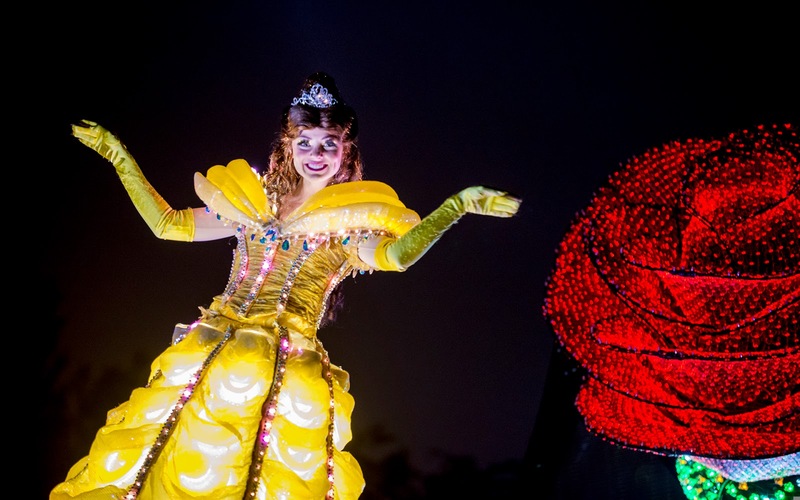 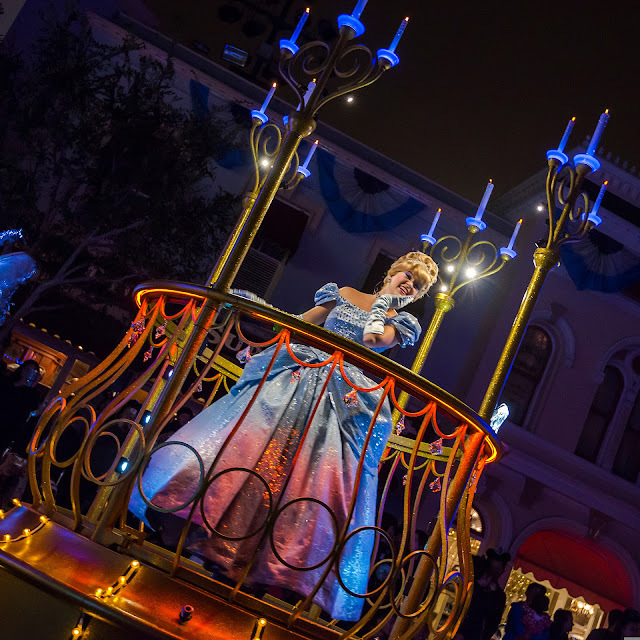 Belle herself towers over everyone, lit up in her famous ballgown. 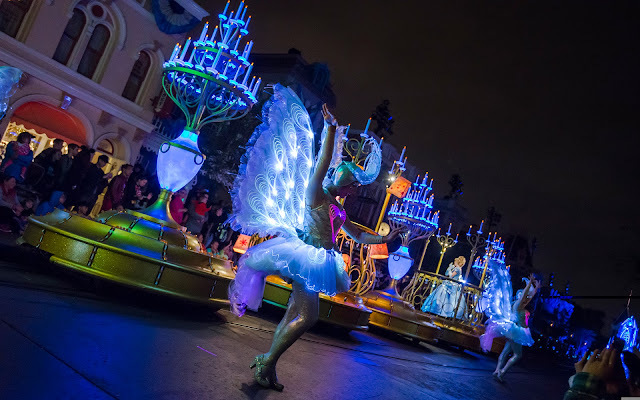 This float is then proceeded by a candlelight train accompanied by swan dancers. 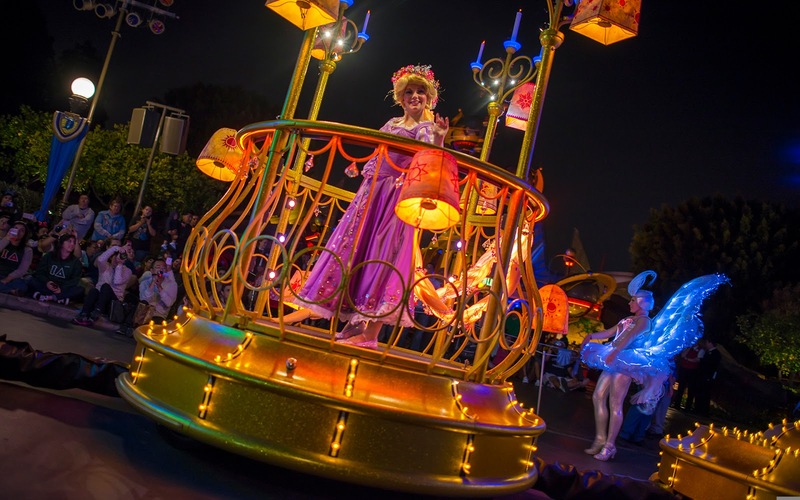 Rapunzel is in one car. 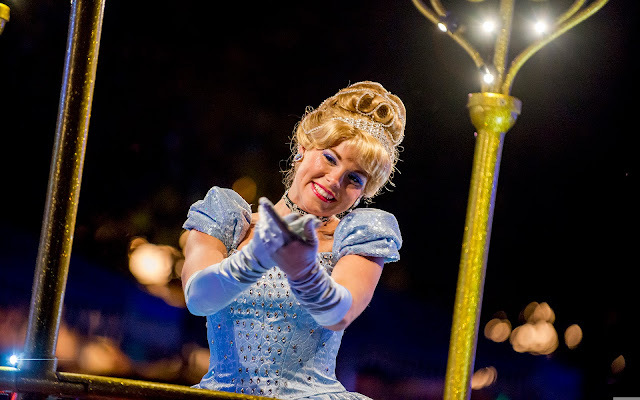 Cinderella is in the other. 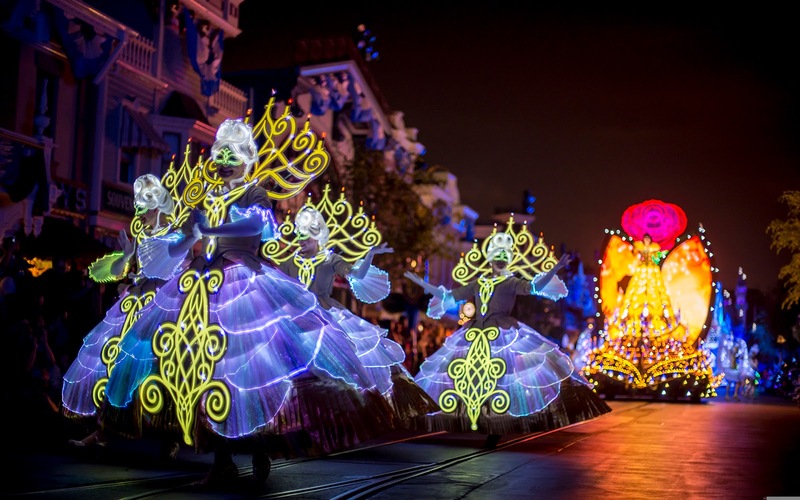 Check out the next installment, featuring Frozen!